Coptic Orthodox Cathedral, Abbasyia, Cairo” by Ashashyou – Own work. Licensed under CC BY-SA 3.0 via Commons. Long governed by separate laws on personal status issues—marriage, divorce, and other family law—Egypt’s Christians are awaiting the government’s latest move. The issue of the personal affairs law for Egypt’s Christians has recently returned to the forefront of national debate in Egypt, with President Abdel-Fattah El Sisi instructing the Cabinet to review a draft law it had previously presented to Egypt’s churches. The various denominations have also renewed their interest, forming a number of working groups and committees to review the draft law, which was ultimately rejected by the Coptic Orthodox Church—by far the largest of Egypt’s churches—amid disagreements on a number of its articles. This renewed interest, however, does not point to any upcoming change in the lives of thousands of Christian families with cases pending before the courts or the Ecclesiastical Council for Family Affairs to resolve issues of divorce and remarriage. The Egyptian state has delegated the human rights issues of marriage, divorce, and family law to religious institutions, thus absolving itself of the responsibility to treat Christians as citizens with full rights and relegating them to second-tier citizenship. In their relations with the government, Christians are represented only by the church, whose approach to the issue is even more patriarchal than the state’s. Debate about a personal rights law for Christians arises from the interpretation of the third article of the Egyptian Constitution, which makes Christian and Jewish religious law the main source of legislation governing most aspects of communal religious issues and personal affairs for those minorities. This article was first inserted by the Muslim Brotherhood in the 2012 constitution as a way of justifying other religious articles, and has carried over into the current constitution, approved in 2014. The interpretation of this article defines the relationship between Egypt’s Christians and the state, especially in terms of their religious rights. As it currently stands, the question is whether the Coptic Church will be given agency to interpret and apply the article—becoming its own legislative body—or whether Parliament will legislate according to the constitution after consulting all parties involved, including the various churches and Egyptian Christians at large. There are currently two stages to any marriage in Egypt, a religious contract carried out by the church during the ceremony, and another, civil contract based on the first, religious contract. The state has also given Christian priests the authority to notarize marriage contracts and carry out both stages at once. Therefore, the Ecclesiastical Council practices all authority among Christians when it comes to marriage, divorce, and any related issues. Until last month, this was carried out without any clear, public regulations detailing the time required for cases to be decided. Some divorces were processed within a year while others have been in the system for many years. Up until 1971, divorce in the Coptic Orthodox Church was much easier than it is today, as the church included separation, imprisonment, and abuse as legitimate reasons for divorce. With the accession of Shenouda III to the papacy that year, the church limited divorce to cases of adultery. While the church had changed its internal regulations, civil courts continued to follow less strict regulations for divorce, resulting in thousands of couples legally divorced by the courts but unable to get remarried: The church, which oversees marriage, still considers the couples to be married. In 2006, the issue became even more complicated and came to public attention when the State Council issued rulings requiring the church to marry divorcés. 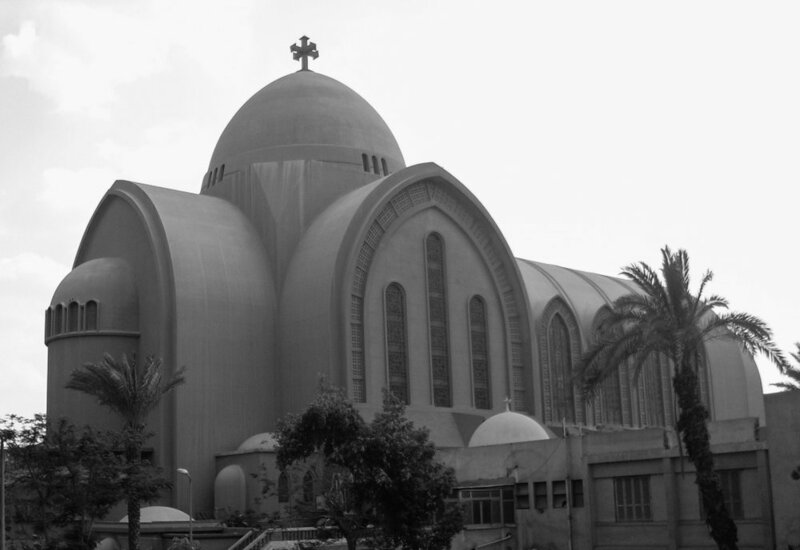 This was based on a ruling that the Coptic Orthodox Church was a state institution, thus subjecting its decisions to review by the State Council; the church vehemently protested the decision. Two years later Pope Shenouda illegally amended divorce regulations without presenting them to Parliament. The new regulations, which stated that divorce should only be approved in the case of adultery, were then sent to the administrative courts, who proceeded to apply them. This crackdown spurred Christians to find loopholes, even changing their religion, in order to be allowed a divorce. This confusion has resulted in thousands of cases of Christian Egyptians seeking divorce clogging the Coptic Church’s Ecclesiastical Council for years. Before the January 25 Revolution, the state completely ignored calls both by the Coptic Church and the Christian public to legislate a personal freedoms law for Christians, starting with the first proposal for such a law back in 1978. This was the case even in 2010, when the church was angered by an Administrative Court decision requiring it to carry out remarriages. At the time, the Ministry of Justice created a committee to review a draft law for personal freedoms, but no law passed. The state’s aloofness from Christian affairs seems to have changed, however, especially after Article 3 was inserted into the 2012 constitution and its subsequent amendments. Broad support from Christians and the churches for the current regime has made government politicians somewhat more involved in Christian issues, seeking to maintain their backing. In July of this year, the Ministry of Transitional Justice prepared a unified personal affairs law for Christians—seeking to overcome differences in regulations among the Christian sects—and sent it to the various denominations to provide their opinions. The law stipulated a division between civil and religious marriage for Christians, as well as reasons for divorce and rights for married couples and their children. The three largest churches—Coptic Orthodox, Coptic Catholic, and the Evangelical Presbyterian Church of Egypt (the country’s dominant Protestant denomination)—provided different opinions about the law. In its response, the Coptic Orthodox Church provided a new, broader definition of adultery, which included virtual adultery. The Coptic Orthodox response also included actions the church said could lead to adultery, such as abandonment and domestic abuse, as reasons for divorce. This debate shows that the state finds itself in a difficult position. The government wants to issue the law and solve the issue for Christians seeking remarriage, but seeks to avoid any unconstitutional or discriminatory articles. It is absurd to have two different legal definitions of adultery, one for Christians and another for Muslims. If the law adopts the Coptic Orthodox’ suggestions, it would also create a privacy issue by regulating virtual adultery. It would have been possible for the state to remain on the sidelines and let the church write this legislation independently, as was done in the past. However, new Coptic movements, formed to defend the victims of what they perceive as the church’s stubbornness, made this approach impractical. Those affected by these confused regulations have resorted to the courts to receive their rights, supported by a number of humanitarian organizations such as the Egyptian Center for Women’s Rights. They also presented alternatives that went ignored by state institutions. These networks of Christians, advocating from a civil perspective, benefited from the atmosphere of freedom after January 25, organizing themselves into groups that protested in front of the Ministry of Justice as well as in the Coptic Orthodox Cathedral itself. In 2012, the Constitutional Committee held a hearing for them, though with no apparent influence on the outcome. They are still advocating for civil marriage outside the church. The Coptic Church is no less complicit in this situation than the state. Seeing marriage as a purely religious activity separate from the state, it refuses to condone any other possible forms of marriage, such as civil marriage, claiming that it goes against Christian teaching. Any steps taken toward solving the problems of those affected by these problems revolve around the church and its views of marriage, with no change in the church leadership’s handling of the issue. Information from inside the Coptic Church shows that there are divided opinions on this issue, with one school of thought, led by Pope Tawadros II (the current patriarch) and Bishop Daniel, Bishop of Maadi and Chairman of the Seminary Council for Cairo and Giza, advocating for broadening the definition of adultery and increasing the possible reasons for divorce to include untenable living circumstances, abandonment, and others. Meanwhile, a more conservative stream continues to push for the agenda put forth by Pope Shenouda, which states that divorce is only permissible due to actual, physical adultery. This split inside the church may explain the fact that the Faith and Family Committee of the Ecclesiastical Council held its meetings in the second week of August in the absence of Pope Tawadros; that meeting led to a number of recommendations to be discussed at an urgent session of the Ecclesiastical Council. Both the state and church—the two entities with power to change the status quo—perceive Christians negatively affected by the personal affairs law as nuisances rather than citizens with full rights. It is unlikely that the Coptic Orthodox Church will change its stance on civil marriage. Further, any amendments to the definition of adultery may be considered contradictory to the penal code. By creating a distinction between Christian and Muslim Egyptians, they would also arguably be unconstitutional. The state must make a real attempt to present personal affairs legislation to open debate by the relevant stakeholders and show its commitment to treating its Christian subjects as full citizens under the law. Its failure to do that demonstrates its view of Christians as subjects to be addressed only through the church as an overseer and patriarchal representative. While the church’s role and opinion cannot be ignored, it does not cancel out the role of those directly affected by the problem.